Guidebook to cycling the End to End route from Land's End to John o' Groats (LEJOG). 14 days and almost 1000 miles, largely on minor roads and cycle paths, avoiding the busier A roads. Includes detailed maps, profiles, key grid refs and GPX files, listings of accommodation providers and cycle shops, and tips for first-time cycle tourers. Best tackled between the end of March and the end of October to take advantage of the extra hours of daylight. 14 consecutive days of cycling at an average of more than 70 miles a day, requiring a reasonable cycle fitness. Well within the grasp of anyone confident and well-prepared. 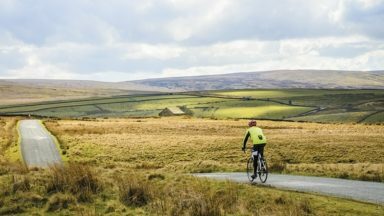 The End to End cycle route takes in Dartmoor, the glorious Wye Valley to Monmouth, Forest of Bowland, the Lake District and the Scottish Borders; a traffic free cycle path through Glasgow to Loch Lomond; the Great Glen to Inverness and the Far North; and the rugged Caithness coastline. A guidebook describing Britain’s famous ‘End to End’ cycle route, a journey of almost 1000 miles from the very tip of southwest England – Land’s End – to the northernmost point of mainland Scotland – John o’ Groats. Divided into 14 day stages, with each stage covering between 53 and 85 miles, the route features some of the best cycling the UK has to offer. Step-by-step route descriptions are accompanied by 1:250,000 mapping and stage profiles. 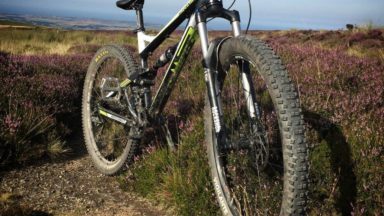 There are links to GPX mapping of the route for simple GPS navigation as well as a handy equipment list, route summary table, tourist office and cycle shop listings, together with information on health and safety, training and fitness. A listing of accommodation en route is also given. 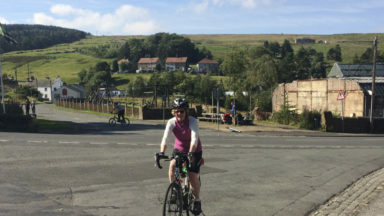 A quintessential British adventure, the End to End cycle route attracts the attention of thousands of cyclists – men and women, young and old – every year. 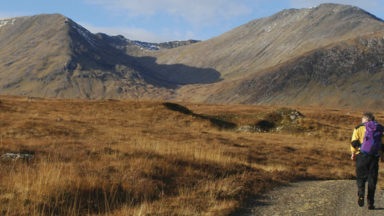 From charming Cornish villages to the brooding magnificence of the Scottish Highlands, scenery abounds on this challenging yet immensely satisfying traverse. page 195 Shrewsbury cycle shop has a new name and has moved. The Crask Inn is currently up for sale. From Easter 2016 the pub, B&B and Bunkhouse are open on Fridays, Saturdays and Sundays (until the end of November). If cyclists arrive on other days of the week they can get bunk house accommodation only - the owner will leave food in the cupboard for self-catering purposes. See website for more details on opening times. "Well organised... useful, practical and informative." "It will fit easily into a jersey pocket, and, unlike the ubiquitous mobile device, will not run out of charge or be deprived of a signal just when most required. The End to End Cycle Route, by Nick Mitchell, will be a useful reference in planning or a vital guide to the whole route, depending on your experience or approach." If you are considering a fortnight's "holiday" cycling between viewpoints that take in the Scilly and the Orkney Isles then this Land's End to John O'Groats [guidebook] is a real travelling companion. It breaks the 1000 mile trip into manageable proportions, provides advice on terrain, accommodation, repair shops and incidental scenes. It's a thoughtful reminder that constantly the best is yet to come. 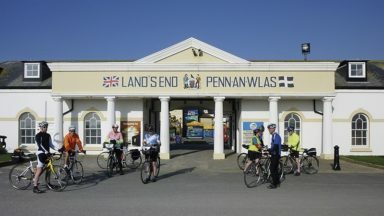 Cycling from Land's End to John O'Groats is one of the UK's classic challenges. This isn't a guide to the fastest way to complete it, but the most enjoyable... Nick's delight in the journey and the characters you meet along the way is clear. 'I am cycling the End to End, I'm free and on the road and this is my adventure,' he writes. 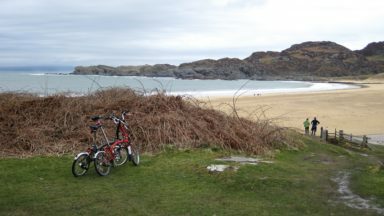 Useful to anyone taking on LEJOG or it will put the challenge on your bucket list if it isn't already." Nick Mitchell's years of experience as a long distance cyclist and veteran of this route helps you along the way in this pocket gUidebook to the 1,000 mile route which some refer to as LEJOG or if heading southwards BOGLE - others may know it as the End to End. With 14 suggested stages, the guide provides a description for each part of the route, photographs,1 :250,000 mapping and links to GPX mapping for GPS navigation, information on local landmarks, suggested accommodation, tourist offices and cycle shops. Guidance on health and safety, training and fitness and what to take help the reader prepare for this epic British adventure, undertaken by many cyclists each year, as they look to tick it off their bucket list. 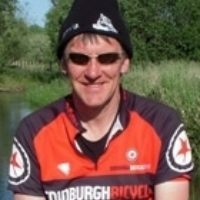 Nick Mitchell is a passionate long-distance cycle tourist, who has thousands of cycling miles to his credit and is the veteran of numerous Land's End to John o' Groats End to Ends. His comprehensive knowledge of the route has been built up over many years. Nick has previously cycled from Munich to Sheffield and Harwich to Bergen, topped off with John o' Groats to Land's End, and he recently cycled halfway round the coast of Britain. When he isn't in the office writing up cycling routes, Nick can be found out on the road guiding long-distance tours.